A contemporary look and luxurious merino wool and felt composition gives these ladies’ Falke CosyShoe Slipper House Socks a very original appearance and blissfully cosy feel. 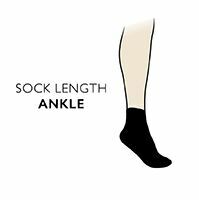 The plush padded sock section is made from 90% Merino wool, with a cute fold-over cuff, keeping your feet snug and warm. These soft, stylish and comforting wool socks are connected into resilient, anti-slip felt outer slippers, with comfortable anatomical left and right toe progression, and with a perfect fit through the elastane band in the ankle area and elastane cuff on the heel.